Converting files from one format to another can be a pain. Sometimes you have to download software that you'll only end up using once. Other times you have to use a shady third-party conversion site that's riddled with ads. Not to mention that after a while, unless you're extremely organized, your converted files will be scattered all across your hard drive. CloudConvert, from German startup Lunaweb LImited, takes the hassle out of converting files by allowing you to quickly upload any file and convert it, then have it automatically sent to your cloud service of choice, all from a simple and intuitive web interface. 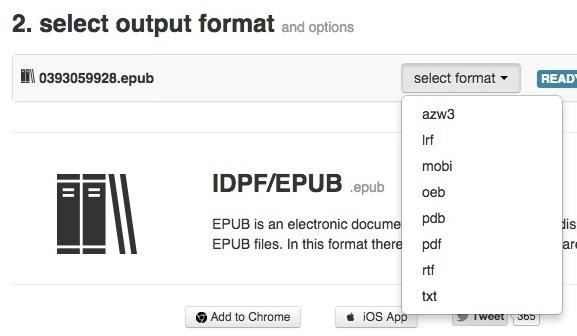 Whether you want to convert an EPUB file to AZW3 (to read on the Kindle), a Word document to PDF (for a presentation), WAV to MP3 (to decrease the size of a song), or MP4 to MOV (for iTunes), CloudConvert has over 200 supported formats for you to choose from, all in one place. Before you begin, create an account with CloudConvert, which requires just an email and password. 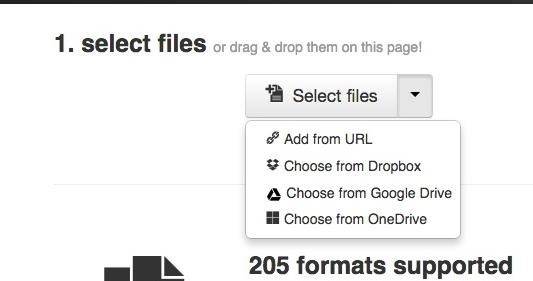 This will allow you to have your files automatically uploaded to your cloud service. Next, upload the file you want to convert to CloudConvert, either by searching through your computer, choosing something from one of your cloud accounts, or inserting a link from a website. For this guide, I'll be converting an EPUB file into an AZW3 file, so that I can read it on my Kindle. 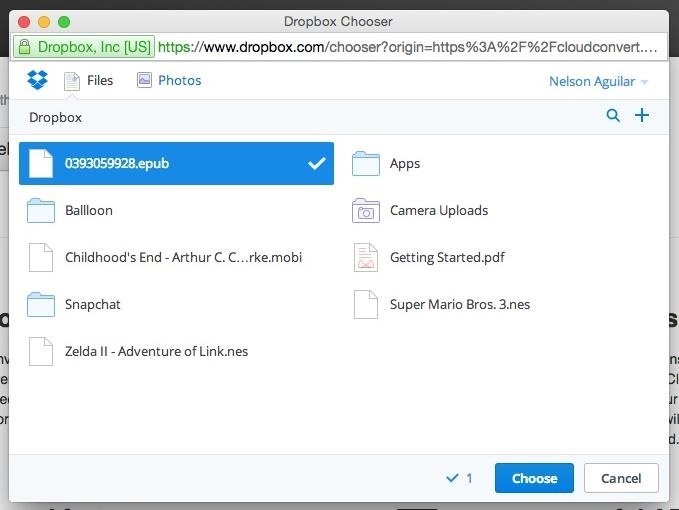 I selected "Choose from Dropbox," signed in to my account, then selected my EPUB file. CloudConvert will then automatically analyze the type of file you uploaded and offer you the formats that it can convert it to. From "select format," I chose AZW3. Finally, click on "Start Conversion" to begin the process. Make sure you check "Send it into my..." to have it uploaded to your cloud. You can also have a download link sent to your email, or you can just download it to your computer from the green "Download" box. With the free version (as long as you're signed up), you get up to 25 conversion minutes a day, with a maximum size of 1GB per file. Every conversion takes up at least one conversion minute, but video and audio files are the ones that take up a little more time, depending on their quality and size. Check out CloudConvert for yourself and let us know what you think. Is it better than other conversion sites or services you've used? Let us know in the comments below, or hit us up on Facebook, Google+, or Twitter.